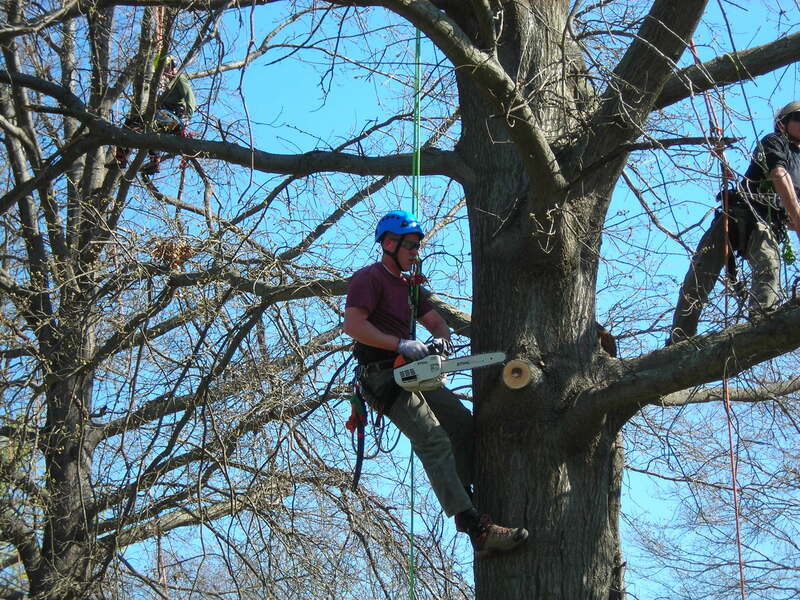 On 25 April, students in the Arboriculture & Community Forestry program of the Stockbridge School at UMass-Amherst pruned trees on the South Amherst Town Common. 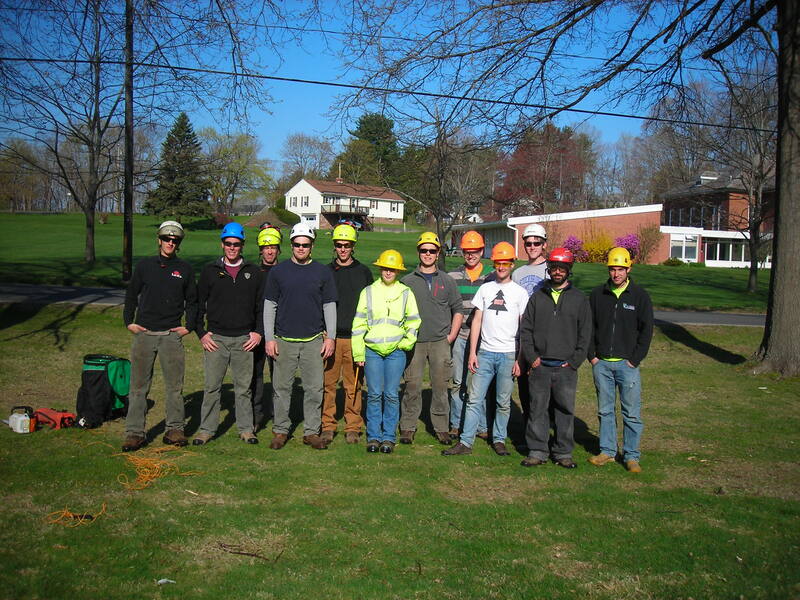 The work was part of the Arbor Day activities organized by Tree Warden Alan Snow. 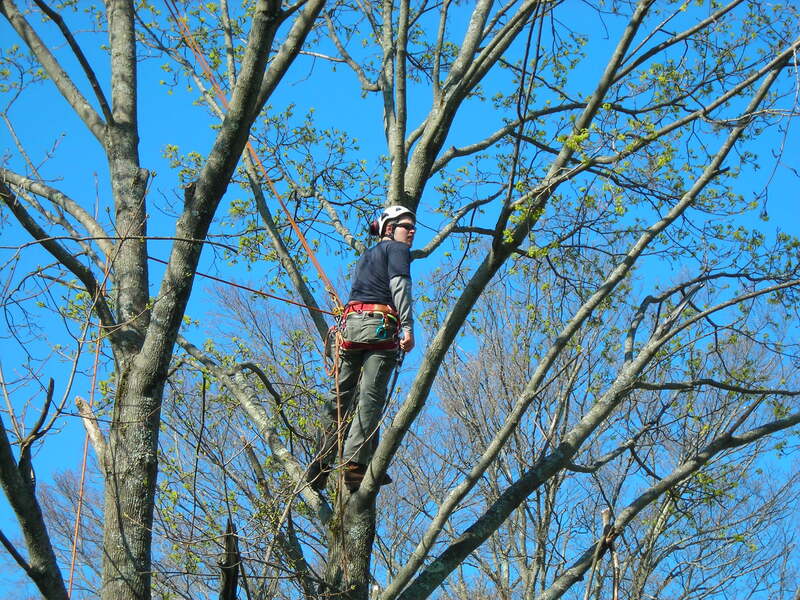 Students pruned six large pin oaks and Norway maples, removing dead and broken branches to reduce the risk of branch failure. 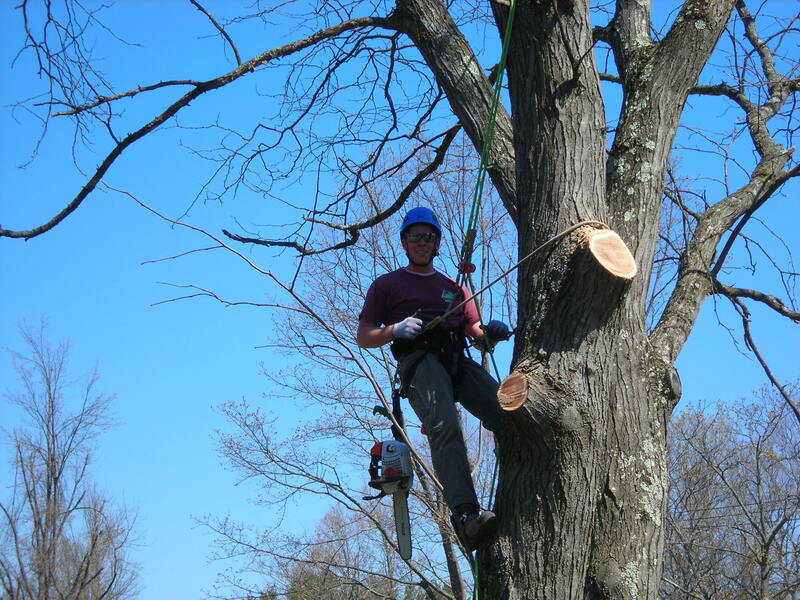 Several other local tree care companies participated, as did Western Mass Electric. Professors Dennis Ryan and Brian Kane also participated, and acknowledged the students’ hard work. “The students did a great job today and demonstrated how much they’ve learned in Stockbridge; they’re a great group,” said Dr. Kane. Dave Pighetti contemplates which branch to prune next.